I hope all my American friends had a wonderful Thanksgiving. We had a fun day with family and lots of yummy food. We began our day at the parking lot of our church. Our son, Aaron, started what hopefully will be an annual Turkey Trot from our church parking lot--with the choice of walking two miles or for those runners, a 5k. He and his friend, Randy, mapped the whole course out by chalking official arrows on the roads and sidewalks to keep everyone on the right course. The cost to participate was two items of nonperishable food for our church food pantry. There was a good turnout. This was my walking partner. Isn't she beautiful? There has been a local Turkey Trot at the park for years. After our church Turkey Trot, Mark and I went to the local bagel place and saw a few of the "other" group's participants--more and more people seem to be dressing up for that Turkey Trot. Maybe our church participants will decide to do that next year too. Then it was on to Aaron and Christa's for a day of family and good food. My parents are excellent pie makers. Yum! We are especially thankful for these three. The rest of the weekend, Mark and I completely redid the closet in our bedroom. He ordered custom closet organizing units from the cabinet shop where he works. They were delivered earlier in the week and stored in the garage. We realized that they might not make it around the corner of our hallway so before pulling everything out of the closet, we gave it a try. No go. So this was how six of the units entered our house: through the bathroom window. Whew--they just made it through. Size of units: 14"x30"; size of window, 15"x31"
Yes, he has empty shoe shelves--so maybe I could even get more than six pairs! One of my favorite Starbucks mugs from years ago--Jolly, and the mug from Canada looks particularly festive this time of year. My cousins went to the Holy Land for nearly three weeks. I jokingly asked them to bring a Starbucks mug if they came across one. Of course, they did not. 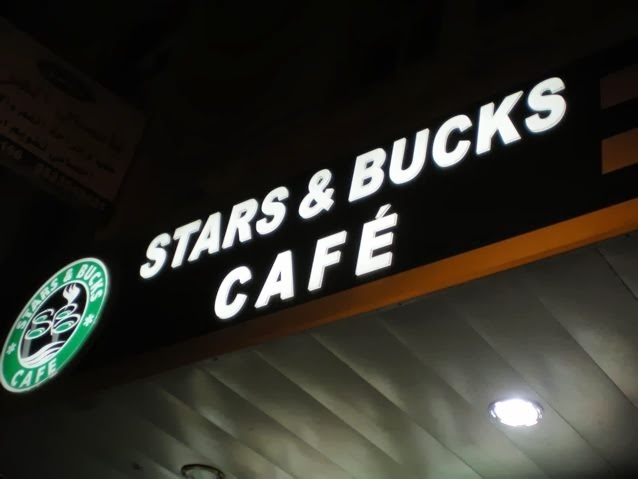 But they DID find this coffee shop in Bethlehem. Cathy had the picture put on a mug for me. I'll end this week's post with a couple of Christmas-y pictures. Each year we get C, G and L ornaments for their tree. I try to pick something representative of the past year. This year they had a season-long pass to Disneyland and have been able to go quite a few times. And one of my season favorites--my collection of Jim Shore Santas which I display in the sewing room. Wow your closet is really looking good with the redo! I need to do that with ours! Oooh, I live in an old house so those closets make me jealous! 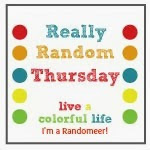 Thanks for the Link up...I ALWAYS enjoy reading your Thursday posts! Congrats on the new closets too...have fun shoe shopping! Great photo with that closet piece going through the bathroom window. That about sums up renovation on older houses, don't you think. And yes--six more pairs for you, and a few to fill up Mark's side of the closet, too. Empty spaces only gather dust. We need to do a closet renovation too. I know it won't happen until the whole closet rod falls down with all our clothes on the floor. And maybe not even then. Fun to see your Christmasy decor--love those Santas! Glad you had a wonderful Thanksgiving with family! I chuckled when seeing the cabinets go through the window. We had a similar experience with bedroom furniture that had to go through the UPSTAIRS bedroom window ;-) Happy Thursday! Looks like a wonderful thanksgiving! your closet looks fantastic, I won't lie, I'm jealous. And I definitely think you need to use those empty shoe racks on hubby's side! Adorable little ones, hope they like those cute mickey ornaments. Bet your heart was in your mouth when those closet parts were going through the window, you definitely need to do more shoe shopping! The closet redo looks awesome!!! Great job. Your Thanksgiving sounds wonderful. The little name tags with the pots are darling. Great random. And I LOVE your closet!! What a fun way to start out Thanksgiving day with the Turkey trot. They do that here in Madison and in Milwaukee. We lucked out when we bought our house because it had California Closets throughout. Very nice to have! I didn't know you collected mugs too. I like to buy them as a souvenir when traveling. Looks like you had a nice Thanksgiving all around. How could you not with three cute kids to keep you entertained. And you definitely need to shoe shop. Can't have empty shelves because they'll just collect dust. 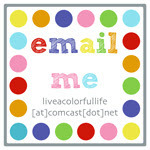 I adore your blog post. Creative and funny. You definitely needs heaps more shoes!!! Yay for family time and good food! Yay for custom closets! Yay for mugs from other places! You have lots to be happy about! Love your new closet! Someday is what I keep saying. Looks to me like you had a fantastic Thanksgiving. What a great Thanksgiving you had!